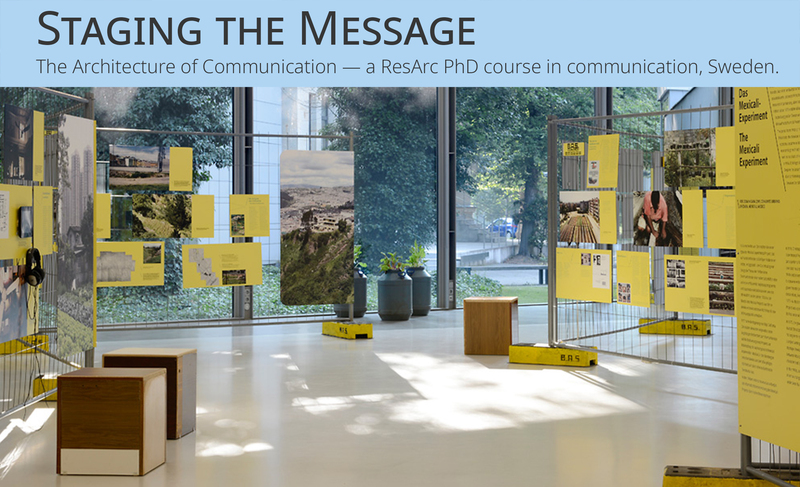 This year, curriculum 2018 – 2019, the ResArc Communication course is organized by the KTH, Stockholm, and will includes a third module in collaboration with Umeå University. Course responsible and contact Meike Schalk (meike.schalk@arch.kth.se), and Roemer van Toorn (roemer.vantoorn@arch.umu.se). With the assistance of PhD candidate Vasily Sitnikov (vasily.sitnikov@arch.kth.se).